07/01/16 -- General: Chinese stocks closed 7% lower for the second time this week - always unsettling. Brent and WTI crude oil have both taken out their 2008 lows and now trading at levels not seen in more than 10 years. Corn: Net sales of 252,900 MT for 2015/16 were down 64 percent from the previous week and 68 percent from the prior 4-week average. That was below trade ideas of 400,000 to 600,000 MT. Mexico (117,800 MT) and Colombia (91,600 MT) were the top buyers. Commitments to date are now 20.452 MMT, which is 25% behind last year’s pace and 19% behind the pace needed to meet the current annual estimate from the the USDA. Exports of 357,800 MT were down 36 percent from the previous week and 39 percent from the prior 4-week average. The primary destinations were Mexico (117,400 MT), Colombia (94,200 MT) and Peru (87,600 MT). Slumping global crude oil values provided little support for corn. "In Brazil, attentions are directed to cultivation of the 2016 safrinha. Despite the delays in the soybean crop, which end up affecting the ideal window of winter corn cultivation, producers will likely plant outside the best period. The domestic prices of the grain remain high and a good amount of the crop is already committed to anticipated sales, an incentive to production," said FCStone. Mar 16 Corn closed at $3.513, down 1/4 cent; May 16 Corn closed at $3.58 1/4, unchanged. Wheat: Weekly export sales of only 76,500 MT were a bit of a disaster and a marketing-year low. Trade expectations were for sales of 200,000 to 400,000 MT. Interestingly though China (55,000 MT) did pop up as a buyer on a cargo. Exports of 274,500 MT were up 8 percent from the previous week, but down 9 percent from the prior 4-week average. The primary destinations were Japan (101,400 MT), the Philippines (55,000 MT), Nigeria (44,000 MT), South Korea (27,700 MT) and Ecuador (20,000 MT). 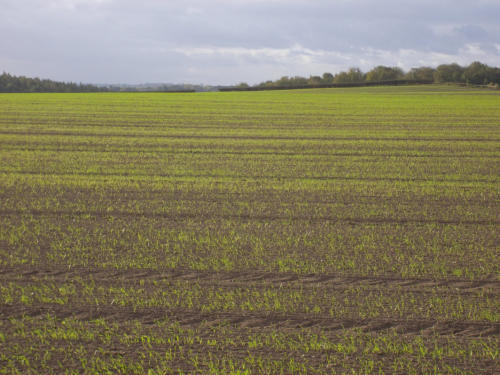 "The international wheat market is currently bearish and is likely to remain so in 2016. With an unbalanced world supply and demand, the USDA projections are very high for production in the 2015/16 crop," said FCStone. "The appreciated dollar against the world currencies does also not help the US commodities market, with great concerns about the country's competitiveness and exports," they added. Informa cut their projection for Indian wheat production by 4 MMT to 81 MMT. May 16 CBOT Wheat closed at $4.73 1/4, up 5 cents; Mar 16 KCBT Wheat closed at $4.72 1/2, up 2 cents; Mar 16 MGEX Wheat closed at $5.01 1/2, up 4 cents. 06/01/16 -- Soycomplex: Beans closed firmer, adding to yesterday's gains. Informa Economics today kept their Brazilian soybean crop estimate unchanged stable at 101.4 MMT. They were also steady on Argentina at 58.3 MMT. There are one or two rumblings that Brazil's crop is getting smaller, nevertheless, despite what Informa might say. Dr Cordonnier said that the arrival of recent rains in central/northern states has come too late to save early planted/maturing soybeans and that yields for those will be down. Conab are due to update us with their thoughts next Tuesday, when the USDA are also out with their WASDE report. The USDA were 100 MMT for Brazil and 57 MMT for Argentina last month. Trade estimates for tomorrow's weekly export sales are 400,000 to 700,000 MT. Jan 16 Soybeans settled at $8.75 3/4, up 8 cents; Mar 16 Soybeans settled at $8.64 3/4, up 7 1/2 cents; Jan 16 Soybean Meal settled at $266.90, up $1.60; Jan 16 Soybean Oil settled at 29.59, down 4 points. Corn: The corn market closed virtually unchanged. US weekly ethanol production came in at 996,000 barrels per da, up 4,000 bpd from the week before. Informa estimated the 2015/16 Brazilian corn crop at 81.3 MMT, unchanged from previously. They raised Argentina by 1 MMT to 22 MMT. The December USDA estimates were 81.5 MMT and 25.6 MMT respectively. Weakness of the Brazilian real and Argentine peso continue to make corn production a much more attractive proposition there than it currently is in the US. One private exporter in Brazil said that they expect 30.7 MMT of corn to be exported from the country throughout the next year, up 9.3 MMT versus 12 months previously. Crude oil closed at new lows - below $34/barrel. Widespread talk of prices in the $20/barrel range lean bearish for corn. So too does continued US dollar strength. Greenpeace said that that farmers in China are illegally growing genetically modified corn in the northeast of the country. Trade estimates for tomorrow's weekly export sales report range from 400,000 to 600,000 MT. Mar 16 Corn settled at $3.53 1/4, up 1/4 cent; May 16 Corn settled at $3.58 1/2, unchanged. 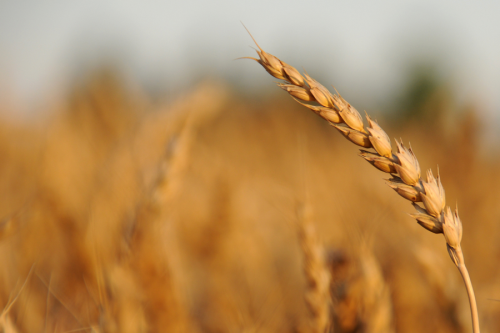 Wheat: The wheat market closed with small gains. The size of the fund short position in wheat is the most positive thing that the market has to cling to. right now. US exports are weak. Trade estimates for tomorrow's weekly export sales report are moderate at only 200,000 to 400,000 MT. The strong US dollar remains a thorn in the side. 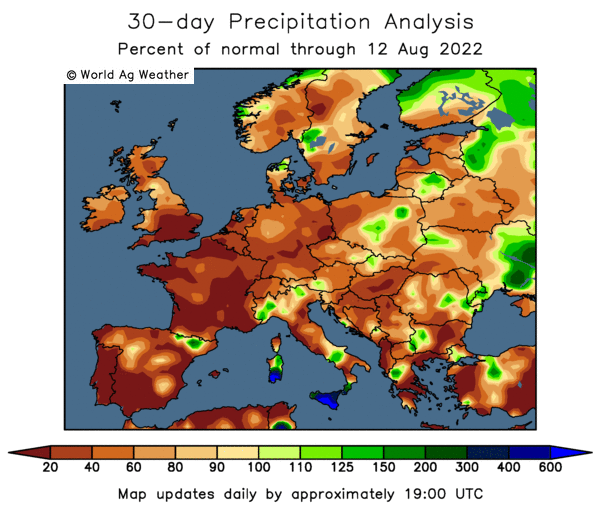 "French wheat hit a four-month low today, as Egypt, the world's largest wheat importer, said that it would be enforcing a 'zero tolerance' policy on ergot contamination in wheat shipments," report Agrimoney. 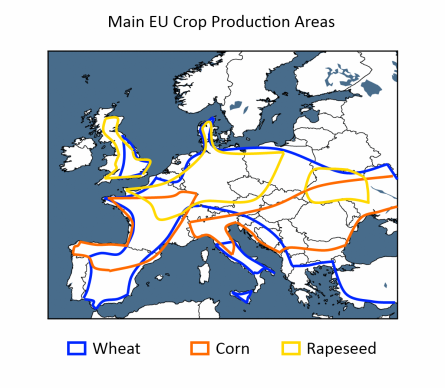 A cargo of French wheat was rejected last month, after trace levels of ergot were detected. Three vessels are still said to be waiting for the arrival of letters of credit before they can start loading French wheat in Dunkirk for Egypt. Gasc vice-chairman Mamdouh Abdel Fattah told Reuters that the delay was due to administrative issues, not any lack of liquidity, and the letters of credit will be supplied shortly. That market isn't quite so confident. 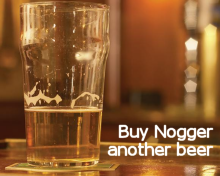 What happens when the world's largest wheat buyer runs out of money to pay for it's wheat? May 16 CBOT Wheat settled at $4.68 1/4, up 1 1/2 cents; May 16 KCBT Wheat settled at $4.70 1/2, up 1 1/4 cents; May 16 MGEX Wheat settled at $4.97 1/2, up 1 1/2 cents. 06/01/16 -- EU grains closed mostly lower. The pound was lower against both the euro and the dollar today, setting a fresh 9-month low versus the latter in fact as the case builds against it to maybe perform less better in 2016 than was expected a few months ago. 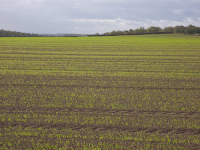 At the finish, Jan 16 London wheat was down GBP0.70/tonne at GBP111.10/tonne, Mar 16 Paris wheat was EUR0.75/tonne higher at EUR171.50/tonne, Mar 16 Paris corn was down EUR2.00/tonne at EUR160.25/tonne, whilst Feb 16 Paris rapeseed fell EUR1.50/tonne to EUR371.75/tonne. The pound traded a touch weaker as analysts continue to pare back ideas of a UK interest rate rise any time soon. A new survey of currency analysts found that only 5 of 105 now think that the UK will raise rates by May. Fully 72 of 105 now don't think that we will see even a "marginal" rate rise until the end of the year. This renewed way for thinking for sterling, particularly in relation to the euro, could provide a modicum of support for London wheat going forwards. 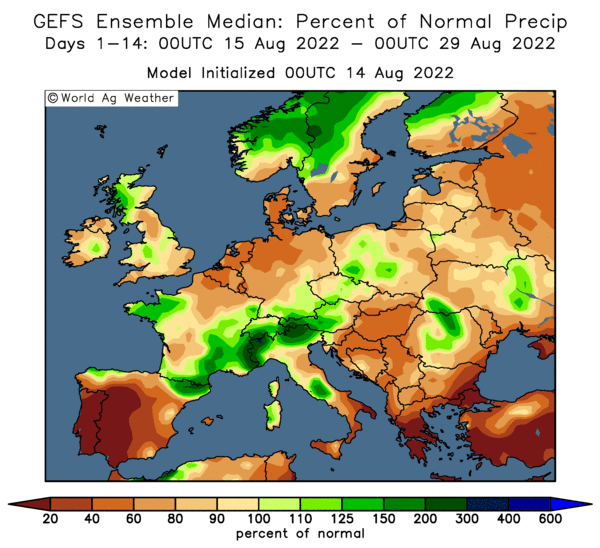 That's not to say that London wheat can't, and won't, yet work it's way lower from where we are today - just that it might not fare as badly against Paris wheat as most had been expecting a few months ago. 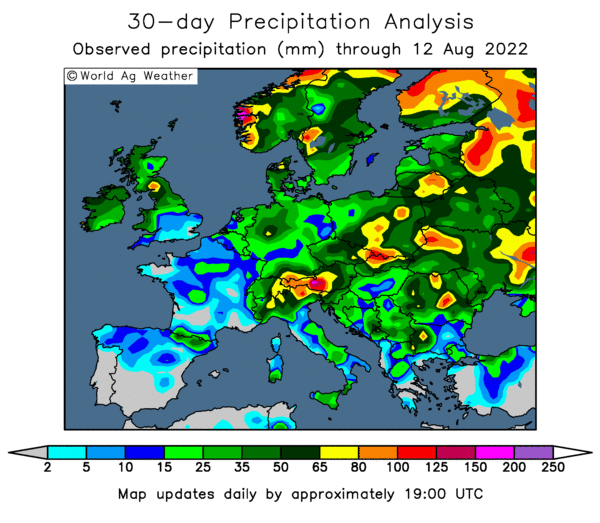 Northern hemisphere wheat appears to be in largely pretty good condition, possibly with the exception of Ukraine and maybe Russia, although recent snow in Ukraine should improve the situation there. Competition for export business remains fierce, especially from the Black Sea region - although Ukraine look like they've concentrated the bulk of their efforts on barley into the first half of the season once again. They're still expected to overall export a record grain volume this campaign - led by corn and wheat - and remain a bearish presence in the market for those two grains through until the end of the season. Russia meanwhile continue to major on wheat exports, and might not be too upset to have missed out on recent Egyptian business given recent GASC problems with payments. The fact that they haven't struck Turkey off the Christmas card list following the shooting down of the Russian jet over the Syrian border in November speaks volumes. 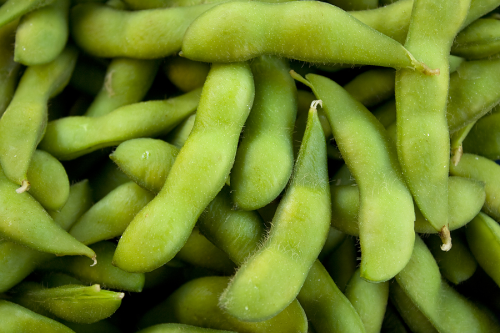 05/01/16 -- Soycomplex: Beans closed with small gains in a modest "Turnaround Tuesday" affair. Brazil's soybean planting "window" is turning into a set of full width "patio doors". Whilst harvesting of a few early (planted Sep15-21) irrigated beans are being reported in isolated parts of Mato Grosso, other states are asking the government to extend the final plant date from Jan 15th to the end of the month. Note, that they don't want to not plant at all, they want to get these beans in. With the real where it is the price on offer to a Brazilian grower is the same as it was back in the good old days of mid-2013. Argentina said that they might produce 60 MMT of beans this year versus the current USDA estimate of 57 MMT. Current wetness in some areas is reminiscent of last year when bumper yields were ultimately achieved. Jan 16 Soybeans settled at $8.67 3/4, up 3 1/4 cents; Mar 16 Soybeans settled at $8.57 1/4, up 1 1/4 cents; Jan 16 Soybean Meal settled at $265.30, up $2.10; Jan 16 Soybean Oil settled at 29.63, down 30 points. Corn: The corn market closed around a cent or so higher in light consolidation following yesterday's rout. Israel are shopping for corn and Ukraine offers are said to be around $12/tonne lower than the best US quotation. Trade gossip suggests that China have already bought more corn than expected for their 2015/16 stockpiling scheme. The USDA currently has Chinese corn consumption down at 214 MMT this season, and sees carryout at 114 MMT (53% of usage). 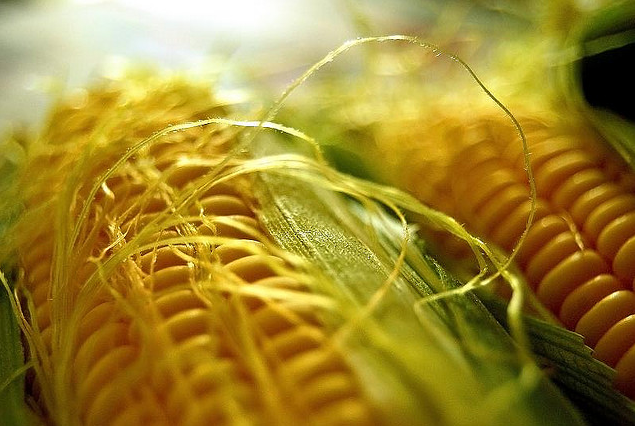 Brazil’s ANEC group estimated the country's December corn exports at 5.85 MMT. That would take total corn exports this season so far to 30.75 MMT, up nearly 47% from the previous year’s 20.96 MMT. Weakness of the Brazilian real also makes safrinha corn planting in Brazil a still attractive prospect. Zimbabwe said that they intend to import 700,000 MT of corn this year, as drought cuts its domestic crop. India are said to be tendering for 320,000 MT of non-GMO corn. Japan are said to be tendering for 131,000 MT of optional origin corn. Mar 16 Corn settled at $3.53, up 1 1/2 cents; May 16 Corn settled at $3.58 1/2, up 1 cent. Wheat: The wheat market closed a touch firmer, but well off the intra-day highs. Reuters reported that 3 cargoes of French wheat destined for Egypt's GASC that should have been shipped late December, are sat off the port of Dunkirk waiting to load due to delays in the arrival of the necessary letters of credit. It will be interesting to see how well subscribed their next tender is, and indeed if a few shippers start to build in a little "insurance premium" into the price. They shouldn't be too active now though, their own harvest is only a few months away. It seems that most winter wheat in the Northern Hemisphere is in good condition, with the exception of Ukraine. The USDA yesterday said that US winter wheat ratings are significantly improved compared with late November and a year ago. "Since mid November the bread wheat states on the US mid Plains have received 4.5 inches of rainfall against 1.5 inches," say Martell Crop Projections. Europe generally is looking pretty good, although a very hard cold snap could raise so concerns as and when one arrives. May 16 CBOT Wheat settled at $4.66 3/4, up 2 1/4 cents; May 16 KCBT Wheat settled at $4.69 1/4, up 4 3/4 cents; May 16 MGEX Wheat settled at $4.96, up 1 3/4 cents. 05/01/16 -- EU grains finished mixed. Wheat was generally lower and corn and rapeseed a touch higher, reversing some of yesterday's losses in mini "Turnaround Tuesday" style. At the close of trading, Jan 16 London wheat was down GBP1.00/tonne at GBP110.90/tonne. In Paris, Mar 16 wheat fell EUR0.25/tonne at EUR170.75/tonne, Mar 16 corn rose EUR0.75/tonne to EUR162.275/tonne and Feb 16 rapeseed jumped EUR2.750/tonne to EUR373.25/tonne. Chinese shares opened 3% lower, in follow-through trade from yesterday, but had recovered somewhat to close around unchanged at the finish. In late afternoon trade, London's FTSE 100, the French CAC 40 and German DAX were all showing small net gains, even if these were of less than 1%. Media reports suggest that three French wheat vessels of a combined 180,000 MT (one cargo scheduled for shipment Dec 11-20 and two for Dec 21-31) are still sat off the port of Dunkirk awaiting letters of credit from Egypt's GASC. This appears to confirm rumours of a lack of currency reserves in Egyptian government, and explains why GASC extended the terms of it's purchases to include letters of credit being allowed to be opened up to 180 days after signing contracts recently. Ethiopia are tendering for 70,000 MT of optional origin wheat (with Black Sea material probably the favourite). They African nation has bought around 1 MMT of wheat since October after failed rains spoiled their own harvest. UkrAgroConsult said that Ukraine would export 14 MMT of wheat this season, up from a previous estimate of 13 MMT, although still 1.5 MMT less than the USDA currently predict. Sharply lower winter plantings for next year's harvest however mean that 2016/17 Ukraine wheat exports will fall to 8.5 MMT, and possibly less, they said. Ukraine exported around 7.25 MMT of wheat in the first quarter of 2015/16 alone. Fresh news out of Russia is scant as they remain largely closed in observation of the orthodox Christmas/New Year holidays. We might be able to call today a minor correction, but the overall trend most definitely remains lower. Shell, among others, continuing to predict crude oil prices possibly still having some further significant downside in 2016 won't help commodities in general. 04/01/16 -- General: It wasn't the start to 2016 that the bulls might have been hoping for, just more of the same basically. Chinese economic worries saw shares in the Shanghai fall 7%, and US and EU stocks followed suit. The US dollar remains strong, and is forecast to continue to appreciate especially versus currencies like the Brazilian real, Argentine peso, Russian rouble, Ukraine hryvnia etc., all of which is bearish for demand for US grains. Soycomplex: Beans closed lower, with a wetter forecast for northern and central Brazil behind the move. Any worries about China inevitably affect US beans too, with the global market heavily dependent on demand from them to support the world balance sheet. Weekly US export inspections of 1.5 MMT were pretty respectable. The USDA announced an existing sale of 217,000 MT of soybeans was switched from unknown destinations to the Netherlands for 2015/16 delivery. The monthly USDA Oilseed Crush report said that the Nov US crush was 165.768 million bushels. Dr Cordonnier said that early irrigated soybean harvesting in Brazil's Mato Gross had begin, with yields down 13.5% at 64 sacks/ha versus 74 sacks/ha a year ago. Jan 16 Soybeans settled at $8.64 1/2, down 6 3/4 cents; Mar 16 Soybeans settled at $8.56, down 8 1/4 cents; Jan 16 Soybean Meal settled at $263.20, down $1.10; Jan 16 Soybean Oil settled at 29.93, down 62 points. Corn: The corn market closed lower. Weekly export sales of 324,566 MT were less than spectacular (and also less even than those for wheat), being down 40% from the same week a year ago. The strong dollar won't be helping that cause too much. The USDA reported 435 million bushels of corn was used to produce ethanol during November, down 1.5% versus October. The weakness in the Brazilian real means that the price on offer in dollar terms down there is around the equivalent of the US producer being offered $6.25/bushel. Ukraine said that they'd exported 21.2 MMT of grains so far this season (to Dec 30), of which 32% was corn. Russia said that they'd exported 20.5 MMT of grains during the same period, of which 8.6% was corn. South Africa said that they may be forced to import corn as early as May or June due to drought. Argentina said that their 2015/16 corn harvest may total 26 MMT. Mar 16 Corn settled at $3.51 1/2, down 7 1/4 cents; May 16 Corn settled at $3.57 1/2, down 7 cents. Wheat: The wheat market closed lower across the three exchanges. Weekly export inspections of 348,273 MT were ho-hum even if they did beat corn for once. YTD inspections are still 12% behind the previous campaign. Russia said that they'd exported 15.35 MMT of wheat so far this season, or 75% of all grain exports. Ukraine's wheat exports of 10.4 MMT account for just under 50% of all total grain exports. The USDA rated Kansas winter wheat at 54% good to excellent, up 6 points versus where things stood at the end of November, and 6 points ahead of this time last year. Oklahoma has raced from 51% good to excellent in November to 77% as of the end of last month. That is also far better than 54% a year ago. Ethiopia are tendering for 70,000 MT of wheat (with Black Sea origin probably the favourite). Taiwan are in the market for 88,750 MT of US milling wheat. May 16 CBOT Wheat settled at $4.64 1/2, down 12 cents; May 16 KCBT Wheat settled at $4.64 1/2, down 14 1/4 cents; May 16 MGEX Wheat settled at $4.94 1/4, down 7 3/4 cents. 04/01/16 -- EU grains closed mostly lower on the first trading session of 2016. 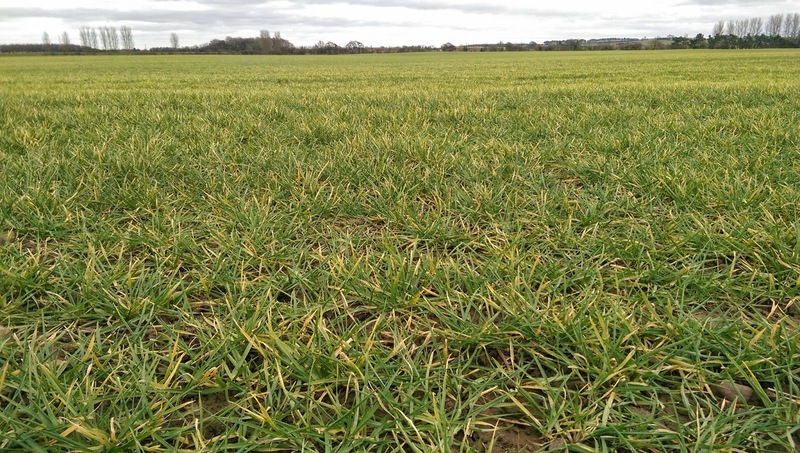 At the finish, Jan 16 London wheat was down GBP2.15/tonne at GBP111.90/tonne, Mar 16 Paris wheat was EUR2.50/tonne lower at EUR171.00/tonne, Jan 16 corn (which goes off the board tomorrow) was up EUR2.00/tonne at EUR146.50/tonne and Feb 16 rapeseed was EUR3.50/tonne easier to EUR370.50/tonne. Is London wheat lining up an early shot at taking out the GBP110.00/tonne mark? It looks like it might be. We haven't seen a front month close that low since June (and that was for one night only). Benchmark May 16 also ended the day within a pound of setting a new lifetime contract low. It's all a bit disconcerting, especially when you consider that for London wheat a front month only closed higher than the closing price of 2014 twice in the whole of last year! And both those occasions were in the first week of last year! At a glance then, you'd be forgiven for thinking that nothing much has changed. It might be a new year, but the same old concerns ares till being thrown around today. The FTSE 100, the French CAC and German Dax all traded with losses of 2-4% on the first day back after the holiday. Heightened tensions in the Middle East and the old stalwart of Chinese economic worries both being to the fore today. At least the former could be a little friendly for crude oil, which may in turn add a little bit of friendliness to the grains, although other weekend reports citing $20/barrel crude at some point in 2016 would not. The new year also means a plethora of analysts lining up to tell us what they think might happen on the currency front in 2016. There's been a definite wind of change towards a less bullish outlook for sterling versus the euro going forward. The threat of Brexit could weigh on the pound in 2016. There's also a school of thought that the Bank of England will not be in any sort of a rush to follow in the footsteps of the Fed and increase interest rates sometime soon either. Most are now predicting a modest first UK interest rate rise in Q2 of 2016 at the earliest, and possibly it being pushed back towards the end of Q3. If and when a rate rise does come, it's also only likely to be of a quarter of a point. The implications for London wheat are that maybe a weaker sterling/stronger euro outlook for 2016 could provide some sort of an element of support for UK grain - at least relative to what had been expected. We are unlikely however to be talking about a significant and wholesale appreciation of the GBP/EUR, thus support for London wheat could be somewhat muted. Exports from the Black Sea region remain fierce, both the Ukraine and Russian currencies are far weaker than anything we might be contemplating for the pound right now. Ukraine said that they'd exported 21.2 MMT of grains (Jul 1 to Dec 30), off which wheat accounted for 10.4 MMT, barley 3.9 MMT and corn 6.8 MMT. Russia said that they'd exported a little less, 20.5 MMT, and 2% below the level shipped out in the same period a year ago (and also a touch less than the record 21.1 MMT forecast by Rusagrotrans). That included 15.35 MMT of wheat, 3.21 MMT of barley and 1.77 MMT of corn.